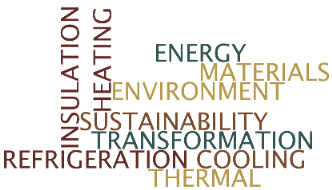 View our Sustainable Thermal Energy Technologies for the Future brochure. Staff are involved in the Birmingham Science City Research Alliance and in delivering the thermal energy technology part of the Science City Energy Efficiency Project. Our facilities include refurbished laboratory space with some of the latest analytical and test equipment. Science City Meeting Room booking form. EPSRC Program Grant funding of £5.4 million over 5 years will support research into Low Temperature Heat Recovery and Distribution Network Technologies (LoT-NET). The project, valued at over £6.5 million, has support from the school of Engineering for a number of PhD scholarships. InnovateUK funding for a Thermal Energy Research Accelerator (T-ERA) has provided £2 million investment for laboratory and facility infrastructure in the area of thermal energy materials analytics. Our Interdisciplinary Centre for Storage, Transformation and Upgrading of Thermal Energy (i-STUTE), was supported by EPSRC with an award of over £5 millon for 5 years, creating PhD and postdoctoral opportunities.